African Christian College alumnus Victor Odhiambo Elisha (2013) works as a preacher, chaplain, and minister with the Winyo Church of Christ in Kenya. You may recall hearing some of his stories last year on our blog. We’re always thankful to hear from our graduates and how God is using them for Kingdom work around the world. Recently, Victor sent the images and video below from time making disciples in the prison. 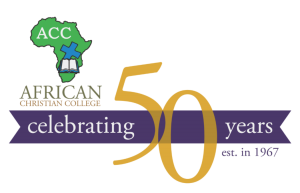 He shared his appreciation to African Christian College for equipping him to allow God to use him ‘expose the lies of the devil’ as he shares God’s love and value to prisoners in Kenya.